What do we love more than helping you navigate the Smithsonian? Sending someone from the Smithsonian to your neighborhood! Our people are our greatest resource and when new curators join the Smithsonian family, we like to share their stories with our network. This week, I had the chance to ask a few questions of Amanda Moniz, Curator of Philanthropy at the Smithsonian’s National Museum of American History, about her career. Read on to learn why she’s eager to share her passion with Affiliates. Interested in bringing a Smithsonian speaker to your organization? Contact your National Outreach Manager! Tell us a little about yourself and how you got to the Smithsonian. What exactly is a curator of Philanthropy? I’m an early American historian specializing in the history of philanthropy. My first book, From Empire to Humanity: The American Revolution and the Origins of Humanitarianism, explores how Americans and Britons rebuilt their relationships after the Revolutionary rupture through humanitarian collaboration and, in the process, transformed philanthropy. Before I joined the staff of the Smithsonian, I worked at the National History Center of the American Historical Association. Its mission is to bring historical perspectives into public and policy conversations so that job provided great experience for this position with its emphasis on engaging the public in exploring history. A lot of people ask what a curator of philanthropy is! My job entails collecting objects that tell stories about the history of Americans’ gifts of time, talent, and treasure for the public good; working on exhibitions; researching and writing, and sharing stories about the history of giving in other ways such as through social media. It has been a little over a year since you began at the Smithsonian. What have you enjoyed most about working at the National Museum of American History? And what are you looking forward to? I love hearing people’s stories about giving. Most Americans give their time or resources in some way, shape, or form. I’ve talked with visitors, colleagues, well-known philanthropists, and people who work in nonprofits, and heard amazing stories about what giving and receiving has meant in their lives and their families’ lives. Their stories inspire me as I think about my work. I’m really excited about building the philanthropy collection. A lot of people are initially surprised at the idea of exploring the history of giving through objects. I think the collection has the potential to open new perspectives on the role of philanthropy on the forming and re-forming of our nation. So far, what is the most amazing artifact you’ve come across and why? What story does it tell? I recently acquired a basically unknown portrait of Eliza Hamilton, the widow of Alexander Hamilton. She and other women founded a charity known as the Orphan Asylum Society of the City of New York in 1806 when women in the United States were new to organized benevolence. (The organization is still in existence and now known as Graham Windham. The painting was generously donated by Graham Windham.) The portrait was painted in the mid-1800s and shows her as an older woman. Her resolute look and direct gaze are captivating. I also love the portrait because it helps us tell the story of the emergence and development of women’s philanthropy. How does one collect philanthropy? The history of philanthropy is the story of people mobilizing resources (of time, talent, and treasure) to support causes and institutions in hopes of having an impact. I’m looking for artifacts that help us understand the various dimensions of those developments from a range of perspectives. The first object I collected was a nest box used in bluebird conservation. Nest boxes provide habitats for bluebirds and have helped revive the populations of the bird, which had fallen because development had disrupted the birds’ habitats. The nest box is a great object because it helps to effect the change bluebird conservation advocates are pursuing. You’ve mentioned that sharing is “perhaps the most fun part of a curator’s job.” We have Affiliates in 46 states, Puerto Rico, and Panama and we are always looking for ways to share Smithsonian resources with them. What would you like to share with them? I’d love to let our Affiliates know about some of our online resources. Later in March, we’ll be adding a section on “Giving and the Arts” to the online version of Giving in America. (“Giving and the Arts” will replace the case on environmental philanthropy in the physical exhibition on March 22.) In addition to the online exhibition, we have a website for the Smithsonian’s Philanthropy Initiative with videos, links to blog posts, and more. We also have robust social media focused on philanthropy, and I hope folks will join the conversation. I love sharing what I’m learning and am eager to learn from others! BONUS: Read Amanda’s blog from April 2017 shortly after she joined our Smithsonian family. 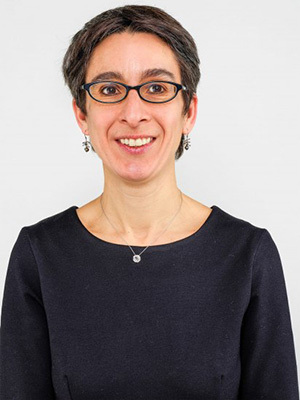 Amanda Moniz is the David M. Rubenstein Curator of Philanthropy in the Division of Home and Community Life. The Philanthropy Initiative is made possible by the Bill & Melinda Gates Foundation and David M. Rubenstein, with additional support by the Fidelity Charitable Trustees’ Initiative, a grantmaking program of Fidelity Charitable. Happy new year! We may still feel cold, but events are heating up at Affiliates across the country. Five Affiliates will host (via videoconference) the Smithsonian Secretary’s Youth Advisory Council meeting. Thank you to the Arab American National Museum, Fort Worth Museum of Science and History, National Underground Railroad Freedom Center, the Upcountry History Museum and the Rockwell Museum for sharing their students and spaces for this important dialogue happening in Washington, 2.7. 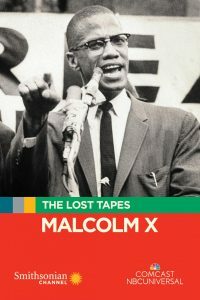 Eight Affiliates will host screenings of The Lost Tapes: Malcolm X , a new film from the Smithsonian Channel as part of their Black History Month programming. Thanks to the following Affiliates for sharing the film with your audiences! The Whatcom Museum opens Jeweled Objects of Desire featuring over 50 artifacts on loan from the National Museum of Natural History’s gem and mineral collection in Bellingham, 2.3. 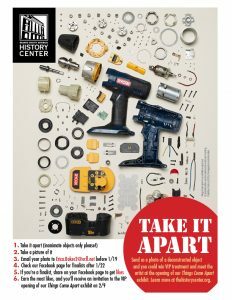 The Orange County Regional History Center opens the SITES’ exhibition Things Come Apart in Orlando, 2.10. Take it Apart! A fun contest in Orlando for the Things Come Apart exhibition. A ‘rum runner’ ship model on loan from the National Museum of American History will be on view at the Heinz History Center as part of their American Spirits: The Rise and Fall of Prohibition exhibition in Pittsburgh, 2.10. 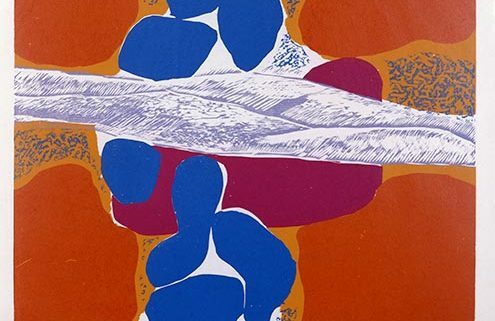 With a grant from the Ohio Arts Council, educators from the Smithsonian American Art Museum and Accessibility Program will lead three workshops for teachers in collaboration with the Springfield Museum of Art on strategies for using art to reach students with multiple disabilities, in Springfield, 2.15-16. Annmarie Garden opens Big Fun Art, an exhibition of local and national artists juried by Jennifer Brundage, Smithsonian Affiliations National Outreach Manager, that explores playfulness, dynamism and joy, in Solomons, 2.16. Dr. Richard Kurin will be speaking on and signing his book The Smithsonian’s History of America in 101 Objects at the Desert Caballeros Western Museum in Wickenburg, 2.20. 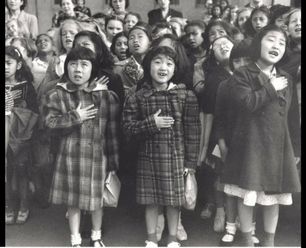 The Asian American Resource Center will host a teacher workshop in collaboration with the Smithsonian Center for Learning and Digital Access entitled Teacher Creativity Studios: Asian Pacific America Cultural Presence in the Classroom in Austin, 2.21. The Durham Museum will host a lecture by Dr. Krewasky Salter, Guest Associate Curator at the National Museum of African American History and Culture on Double Victory: The African American Military Experience in Omaha, 2.27. Congratulations to these Affiliates making headlines this month! Do you have a Smithsonian collaboration in the news? Email Elizabeth Bugbee, BugbeeE@si.edu, and submit your clipping for review. Each month we compile our newsmakers and distribute in our Affiliate eNewsletter. “They will start looking around at some of the things that they use every day and really start to think about how they work and how theyve gotten to that point from where they started and actually just think about the way things are made,”Dr. René Rodgers, Museum Director and Head Curator for the Birthplace of Country Music Museum said. In the midst of a nationwide tour, the Tellus Science Museum near Atlanta is currently hosting the exhibit until September 17. The Smithsonian affiliate is home to many aviation and space flown hardware. 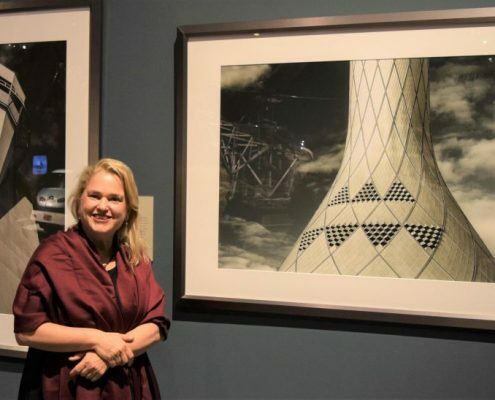 “This is a fascinating exhibit – it combines photography, architecture, and aviation in unexpected ways,” Tellus Science Museum Executive Director Jose Santamaria said on Sunday. “It is very unique and the images are stunning. 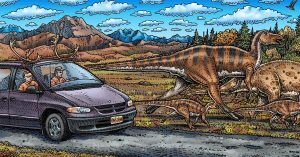 There will also be a Stegosaurus display from the Smithsonian and fossils collected by scientists in the field. July 17 will feature speakers and session leaders from the following institutions: Cody Firearms Museum, National Rifle Association’s Museums Division, Autry Museum of the American West, Springfield Armory National Historic Site, United States Marshals Museum, Art Institute of Chicago, Smithsonian Institution National Firearms Collection, Colonial Williamsburg , Royal Armouries Museum, and the Metropolitan Museum of Art. 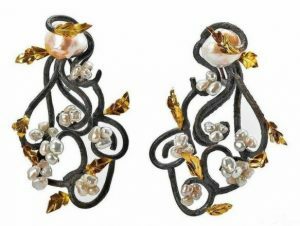 Southern Charm,” pearl earrings from designer Brenda Smith, are among the items on loan from the Smithsonian National Museum of Natural History and included in a traveling exhibit that runs through next March at the Lizzadro Museum of Lapidary Art in Elmhurst. “Most of the pieces are either donated or gifted to the (Smithsonian) museum,” said Asher. “We’re a Smithsonian affiliate.” Asher said she worked with Smithsonian gem curator Russell Feather to select the pieces visitors will see in the “Smithsonian Gems” exhibit. 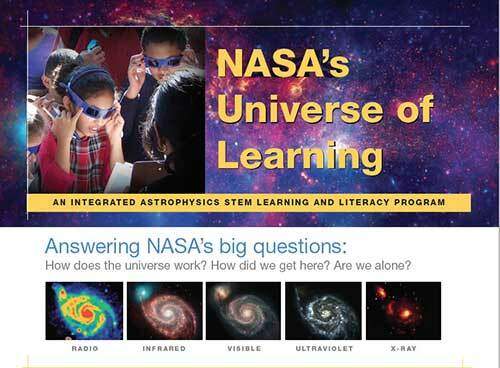 They will also have pinhole projectors, a live stream from NASA in the Smithsonian and activities in Spark!Lab focusing on women in astronomy. 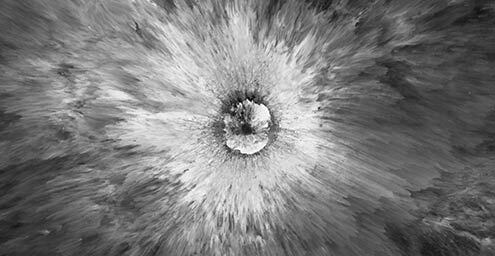 “We are an official viewing site of NASA, which means that we are able to have some NASA scientists come,” Halverson told WYFF News 4’s Allyson Powell Thursday. Despite traveling extensively, I’m still impressed when I discover big things in small places. Cartersville, Ga., a city of 20,000 residents about 40 minutes north of Atlanta, has major draws. It’s the smallest town in the U.S. with two Smithsonian Affiliate Museums. The Booth Western Art Museum houses the largest permanent exhibition space for Western art in the entire country — and what a fabulous place it is. Before the Apollo 11 command module embarks on a cross-country tour of four museums — including the Senator John Heinz History Center in the Strip District — it’s getting a makeover for the first time since it arrived in 1976 at the Smithsonian’s National Air and Space Museum, NPR reported Monday .